In April, the Ontario Industrial and Finishing Skills Centre (OIFSC) in Toronto was proud to host the Honourable Patty Hajdu, Minister of Employment, Workforce Development and Labour. Minister Hajdu toured the facility, met with our members, and delivered a speech on the Budget 2017: Working for the Middle Class. DC 46 BMST Bruno Mandic and General Vice President Robert Kucheran took the opportunity to speak with the Minister and presented her with an IUPAT hard hat signed by the apprentices. 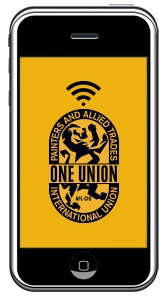 The OIFSC is looking forward to implementing new programs and funding to improve the apprenticeship and skills upgrading training available to IUPAT painters and glaziers. 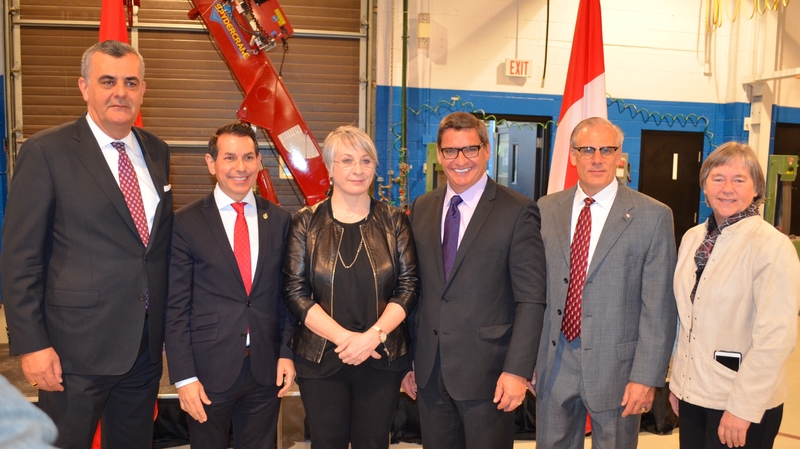 L to R: BMST Bruno Mandic; Member of Parliament Peter Fonseca; the Honourable Patty Hajdu, Minister of Employment, Workforce Development and Labour; General Vice President Robert Kucheran; OIFSC Director Robert Bronk and Member of Parliament Deborah Schulte.